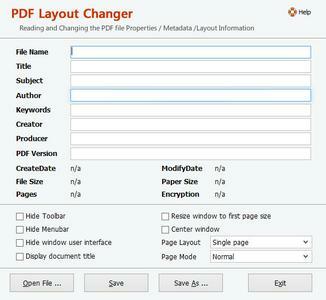 Adept PDF Layout Changer is a utility for customize the startup options for your PDF files. You may decide whether to hide toolbar and menubar, display document title, resize window on startup, center window, hide window user interface or not. It can also reading and changing the PDF file properties / metadata information, including author, title, subject, keywords, etc. PDF Layout Changer does not rely on any other third-party software, of course Adobe Acrobat and Reader are NOT required. Adept PDF to Word Converter software exports the text, images and other contents from any PDF document into MS Word document format, so you can edit and reuse your PDF content. Adept PDF to Word Converter preserves the original PDF text, layout and bitmap images in the generated Word document. Adept PDF to Word Converter software is a standalone program and does not require Microsoft Word, Adobe Acrobat, or even Acrobat Reader. 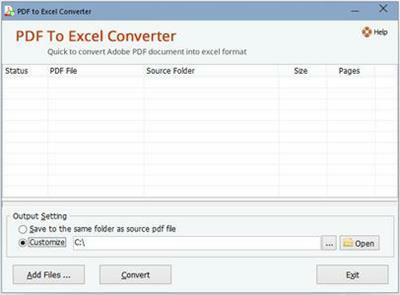 Adept PDF to Excel Converter is a practical conversion utility to help you convert PDF files to Microsoft Excel format. It preserves all the data as well as the layout and formatting of the PDF files after conversion. So it is much easier for you to perform calculations, re-organize the sheets and change data in the output Excel spreadsheets. Adept PDF to Excel Converter software is a standalone program and does not require Microsoft Excel, Adobe Acrobat, or even Acrobat Reader.